Post: Gaurav Akrani. Date: 1/03/2012. Comment (1). Label: Production Planning. Production planning means to fix the production goals and to estimate the resources which are required to achieve these goals. It prepares a detailed plan for achieving the production goals economically, efficiently and in time. It forecasts each step in the production process. It forecasts the problems, which may arise in the production process. It tries to remove these problems. It also tries to remove the causes of wastage. What work should be done? How much time will be taken to perform the work? So, production planning decides the ways and means of production. It shows the direction. It is based on sales forecasting. It is a prerequisite of production control. "Production Planning is concerned with the determination, acquisition and arrangement of all facilities necessary for future operations." Minimize wastage of raw materials. Helps to capture the market. Provides a better work environment. Now let's discuss each objective of production planning one by one. Production planning results in effective utilization of resources, plant capacity and equipment. This results in low-cost and high returns for the organization. Production planning ensures a regular and steady flow of production. Here, all the machines are put to maximum use. This results in a regular production, which helps to give a routine supply to customers. 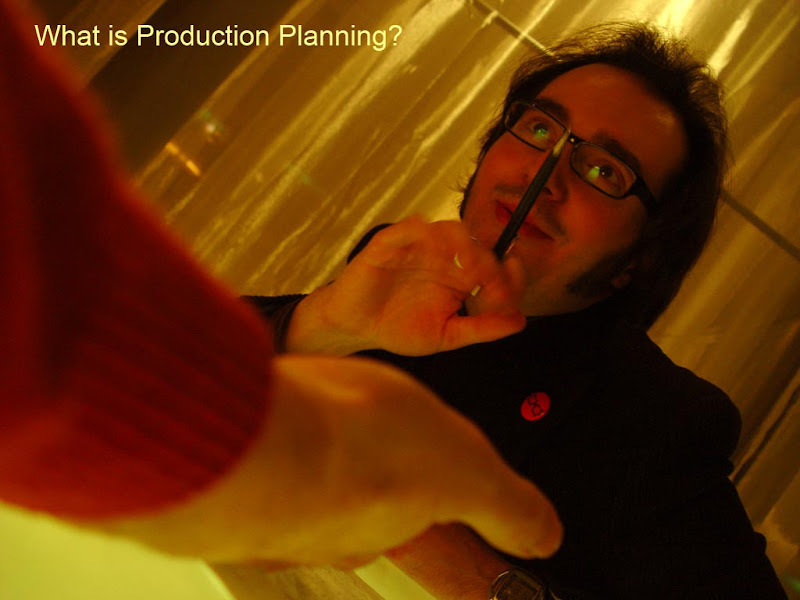 Production planning helps to estimate the resources like men, materials, etc. The estimate is made based on sales forecast. So production is planned to meet sales requirements. Production planning helps to coordinate the activities of different departments. For e.g. the marketing department coordinates with production department to sell the goods. This results in profit to the organization. Production planning minimizes wastage of raw materials. It ensures proper inventory of raw materials and materials handling. This helps to minimize wastage of raw material. It also ensures production of quality products or goods. This results in a minimum rejects. So proper production planning and control results in minimum wastage. Production planning improves the labour productivity. Here, there is maximum utilization of manpower. Training is provided to the workers. The profits are shared with the workers in form of increased wages and other incentives. Workers are motivated to perform their best. This results in improved labour efficiency. Production planning helps to give delivery of goods to customers in time. This is because of regular flow of quality production. So the company can face competition effectively, and it can capture the market. Production planning provides a better work environment to the workers. Workers get improved working conditions, proper working hours, leave and holidays, increased wages and other incentives. This is because the company is working very efficiently. Production planning facilitates quality improvement because the production is checked regularly. Quality consciousness is developed among the employees through training, suggestion schemes, quality circles, etc. 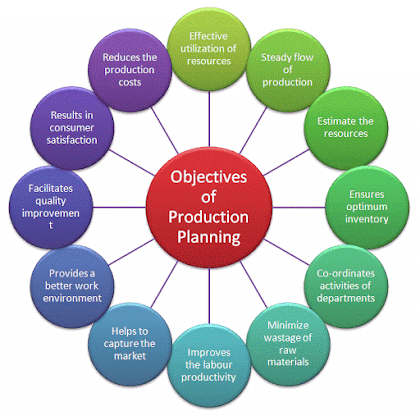 Production planning helps to give a regular supply of goods and services to the consumers at far prices. It results in consumer satisfaction. Production planning makes optimum utilization of resources, and it minimizes wastage. It also maintains optimum size of inventories. All this reduces the production costs.